Sub-Saharan Africa is one of the world’s fastest-growing economic regions, and is now showing signs that it may soon become a hub for innovation as well. The Global Innovation Index (GII) is an annual ranking of countries according to their potential for research and development. Though European countries topped the list as usual, analysts from Cornell University and the World Intellectual Property Association noticed a striking trend in low-income African countries. “Overall, sub-Saharan Africa has seen the most significant improvement of all regions in the GII rankings,” analysts wrote last week in a press release. This seventh annual report focused on the “human factor” necessary for innovative countries to succeed. Researchers explored how various public and private agencies made the most of the human capital available to them, using indicators such as science and math test scores, student-teacher ratios in schools, and the number of corporate firms that offer employees formal training. “Many sub-Saharan African countries are fostering innovation through the implementation of various initiatives and programmes,” the report says, citing examples such as a Rwandan endowment fund aimed at furthering innovation in manufacturing and agriculture, or Gambia’s Ministry of Trade and its focus on infrastructure development. They used the term “innovation learners” to describe any an economy that performed at least 10 percent higher on the index than its peers with a similar gross domestic product, ranked by income level. China, Mongolia and the Republic of Moldova earned this distinction among the high- and middle-income category. 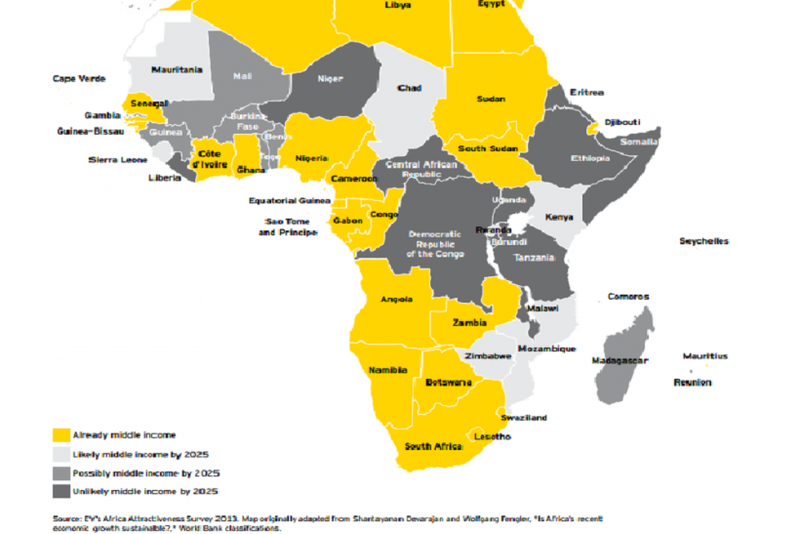 But for low-income countries, sub-Saharan Africa dominated. Kenya, Uganda, Mozambique, Rwanda, Malawi, Gambia and Burkina Faso all made the list. Of 33 African countries surveyed, 17 improved their rankings this year. In the region, Côte d’Ivoire showed the greatest improvement, moving up 20 places in the global rankings. Mauritius moved up 13 places to place 40th overall. The top-ranking countries overall were European, with Switzerland ranking first, followed by the United Kingdom and Sweden. Though the region still has a long way to go, it’s been making great strides in other categories as well. Earlier this year the Heritage Organization dubbed sub-Saharan Africa the second-most-improved region in terms of economic freedom. “No other region has made greater strides in economic freedom than sub-Saharan Africa over the past three years,” its analysts wrote in its most recent Index of Economic Freedom.